Great coffee depends on more than just the finest beans - Maximise your coffee offering and profits with a range of exclusively designed cups and saucers. 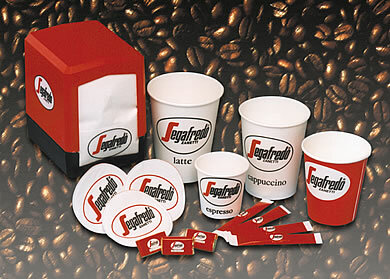 Enhance your business with either branded Segafredo crockery or if you prefer, personalise your own to create that lasting impression. 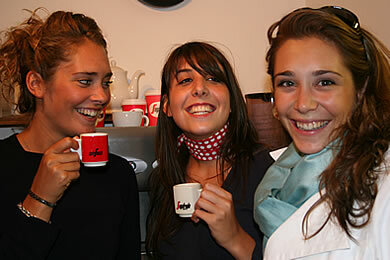 need look no further for the perfect espresso. See our selection of branded take-away cups available in cool-wall or cardboard. premises with the range of signs and artwork that are available.